We talk about a long lost, recently discovered map that dates back to Lewis & Clark. 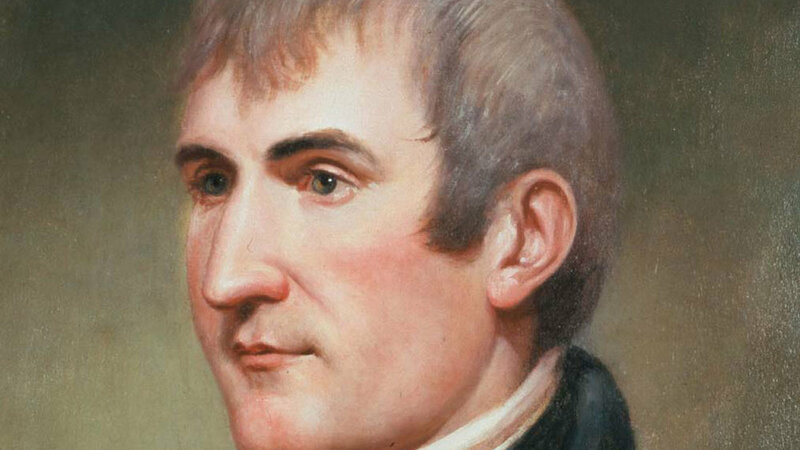 Jefferson sent Meriwether Lewis up the Missouri River in 1804. They met a man named Too Né among the Arikara on the North Dakota, South Dakota border. Too Né later went to Washington to meet Jefferson and he made a map that is a beautiful rendition of the world, and it was lost for more than 200 years, recently discovered in the Bibliothèque nationale de France. We talk a bit about how Native Americans looked at things, and how the maps from their time and our time obviously differ. Native American maps have a fundamentally different way of seeing than our maps, and once you learn how to do it, all this sacred and other information pops out. Clark was listening to Too Né and has some of that data in his famous journal. DS: 00:04 Good day, Thomas Jefferson Hour podcast listeners, good day citizens, and thank you for listening this week. Oh, one of my favorite subjects, a archaeology, history. We talk about Too Né and the map discovered in France. CSJ: 00:19 When you think about the Indian peoples that Lewis & Clark met, you think of the Shoshone and the Mandan and the Lakota and the Clatsop. You don't normally put the Arikara high on your list. They deserve a much higher place on anyone's list than they have had. And this fellow from the University of New Mexico, a man named Dr Christopher Steinke, discovered in the Institut nationale de France, a map that this man Too Né, the Arikara who traveled with Lewis & Clark for a time, drew for them that actually has an image of the keel boat on it, has stick figures of Lewis & of Clark. He drew a map for them, took that map to Washington DC. He died in Washington DC, unfortunately was buried there. That map has disappeared for more than 200 years, David, and it was recently rediscovered and I devoted this whole May issue of We Proceeded On, the official journal of the Lewis & Clark world, which people can subscribe to by going to the Great Falls site. I devoted the whole issue to this extraordinary map and I knew the minute I started working on this that you would find it fascinating. DS: 01:25 Oh. And I did. I really did. And really that's what we talk about this week, and you can find out more about We Proceeded On, the Lewis & Clark Trail Heritage Foundation, and how to join so you can get copies of We Proceeded On, if you go to jeffersonhour.com and there's also a pretty high resolution copy of Too Né's map that you can see at that website. And while you're there I'll keep it real — I won't even do the voice — you can support the Thomas Jefferson Hour, we really appreciate it — all support goes directly to the show and without it we are nothing. CSJ: 02:22 I came here to do some of the work and I contacted you, I had heard of you and I knew of your great work with Native American music and culture and I said, would you be willing to provide some studio time and so on. And I interviewed Dayton Duncan in this very space and that was a great day. DS: 02:22 What a great guy. CSJ: 02:46 But you, then, provided music for Ken Burns' film. DS: 02:49 Some of it, yes. Not all of it. CSJ: 02:50 And you showed me — one of the greatest moments of my entire life was when you showed me that there is a living, faithful, Hidatsa oral tradition of song that can be dated back to Sacagawea. DS: 03:07 Yeah. Yeah. That — Well, that was a pretty interesting discovery for me too. CSJ: 03:29 But I can give you the short answer to it, that you recognized that this young woman's 20th century, early 21st century song was a not very different rendition of a song dated back to Frances Densmore at the beginning of the 20th century. DS: 03:29 Pretty spot on. CSJ: 03:48 She was recording on cylinder discs, and you would and you just gotten — you've just gotten praise for having remastered some of those cylinder discs and gotten them to the right speed. They were being played at the wrong speed for decades. DS: 03:48 That's a long story, too. CSJ: 04:12 And now this map. Here's my goal, I want to get Russ Eagle out here, you know Ross? DS: 04:12 Oh Great. Yeah. CSJ: 04:18 And we're going to rent a pontoon and start at Mobridge, South Dakota and go up the river along the Too Né route. CSJ: 04:30 To see Jupiter's house and to see the Medicine Rock and to see the ancient ruins of the Mandan villages and all the things that Too Né tells to Clark. You've never seen them from the river. I've never seen them from the river. The river is now a lake. That's part of it, but I want to take that journey with maps, journals, Too Né's map, and follow that for two or three days and photograph the living daylights out of it. DS: 04:57 Boy, that would be fun. CSJ: 04:57 Wouldn't that be something? DS: 04:57 It really would. CSJ: 04:57 And you could bring the drone. CSJ: 05:19 It's not out of range, because as you know, we talked in this show about Jefferson's instructions and if he could have said, 'oh, and take a cylinder disk, and record Native American sounds,' of course he would have done that. The technology didn't exist. DS: 05:31 So let's go to the show. So this week we're talking about Too Né and the maps and a number of things. CSJ: 05:31 Subscribe to We Proceeded On. DS: 05:40 Go to jeffersonhour.com if you can't find it and we'll have links there. And once again, thank you for listening. CSJ: 05:50 Good day citizens. And welcome to the Thomas Jefferson Hour, your weekly conversation. Well this week it's with the of the Thomas Jefferson Hour, the man who portrays Jefferson when he's here. Mr Clay Jenkinson. Good day to you sir. CSJ: 05:50 Good day to you David. DS: 06:06 And as I would always start with a pleasantry with Mr Jefferson, I shall start the same with you, sir. How's your garden doing? CSJ: 06:13 Well it is planted, that's for sure. And that was the last — the latest planting that I can remember. I finally got it finished around the fifth of June, 2018 in North Dakota where we live. You really don't dare plant your tomatoes before Memorial Day. DS: 06:13 No profit in it. CSJ: 06:35 And so I waited and we've had really an unusual spring and I've been traveling and busy and so I finally got out there and now I have two gardens, my large vegetable garden, which has 50 tomato plants and six rows of sweet corn. DS: 06:35 Oh, you show-off. CSJ: 06:49 And onions and beans and peas and cucumbers. DS: 06:54 We need to get some photos like we have in previous years. CSJ: 06:54 It'd be good. Bring the drone. DS: 08:00 All that matters is that you can go out there in the shank of the evening and sit and look and enjoy as Jefferson I'm sure did. CSJ: 08:08 Well, you know, I do it for two reasons. I do it because of Thomas Jefferson and I do it because of my grandmother Rhoda Strauss of Fergus Falls, Minnesota. DS: 08:15 And you do it because you like to eat. CSJ: 08:17 And then I can, I can the living daylights. I still have about 150 jars of tomato sauce from last year. CSJ: 08:17 We'll see what happens. CSJ: 08:48 People can subscribe by going to the Heritage Foundation's website in Great Falls, Montana, and for a small fee you get all four — you become a member, and you get all four issues of this journal, We Proceeded On. DS: 09:01 And of course we will put a link if there's not already one there on our website. I believe the map has been posted there because we've had a number of interesting inquiries about the map. In fact, I think you just got a letter last week from someone who was very excited about it. We talked about that. CSJ: 09:01 Well, it is exciting. CSJ: 09:21 I've been doing a little media based upon it because it's a discovery. So let me quickly set the stage. CSJ: 09:28 Lewis & Clark traveled through the Missouri country and the Columbia River country between 1804 and 1806, and they brought back this extraordinary map that was published in 1814, Clark's map. It's really one of the masterpieces of American cartography, but we like to think of them as having traveled into this completely unknown country without any ideas because they were explorers — that isn't true at all, David, they were really working from previous knowledge of other white traders and explorers, at least up to today's North Dakota and then west of today's North Dakota, Native Americans were drawing maps for them on the ground, putting little piles to show mountains and using sticks to show rivers and tributaries and so on. And so when Lewis & Clark left, Fort Mandan, Lewis says, we're now about to penetrate a country at least 2000 miles in width upon which the foot of civilized man has never walked. But the fact is they already had a pretty good sense from the Native peoples, who were their hosts, of what they should expect to find. And so most of those maps that were written in snow or written on skins of animals or written in the dirt, naturally have disappeared forever. A few of the maps have survived and one of them, maybe the best of all the maps, has been languishing in a French archive for more than 200 years in the Bibliothèque nationale de France in Paris. And it was discovered by a researcher at the University of New Mexico by the name of Dr Chris Steinke. And he wrote an article about it in William and Mary quarterly in 2014. A friend of mine in Montana brought it to my attention. DS: 09:28 And then you interviewed Mr Steinke for this issue of WPO. CSJ: 11:16 That's correct. I thought of reproducing his essay, but I thought, well, it's already — that's already been published. I can turn people to it. But I — then I interviewed him and I got the two great cartographers in the Lewis & Clark world, a man named Herman Viola of the Library of Congress and John Logan Allen, formerly of Yale, but most recently the University of Wyoming in Laramie. I got them to assess the map. They wouldn't, David, they wouldn't assess it. Neither of them knew about it. They wouldn't assess it unless I sent them extremely high quality laminated versions of the map. And so I had to go to a — get a high resolution and take it to a laminator. I sent them to them and then they wrote back into and basically just said, wow. DS: 11:57 Well — and that's one of, you know, if I can let my own excitement come out about this. One of the things that really floored me about this is that it, here it is a couple hundred years later, more than, and we're still finding very important artifacts connected to Lewis & Clark. And it makes me wonder, you know, what else is out there. CSJ: 12:21 You are correct sir. So a man named Harry Fritz, who's an emeritus professor of history at the University of Montana in Missoula, an old friend of mine — friend of a teacher of, of Stephanie Ambrose Tubbs, the daughter of the great late Stephen Ambrose. He said during the bicentennial, 'well we basically know everything we're ever going to know about this story, how many times are we going to kick around the same can.' Well he was wrong, and so this map is one of the discoveries. Also James Holmberg of the Filson Club down in Louisville was part of the discovery of 50 some letters by William Clark that were in the attic in Louisville and they were discovered and he published them in, I think in 1989. There are probably — while we know Robert Frazier kept a journal — it could still be out there. Lewis maybe could have kept journals that we don't have yet. I mean, things get lost and so maybe we'll find more. DS: 13:13 There are sites, historical sites — you and I have spent a great deal of time talking about the, where the actual site of Fort Mandan is in North Dakota and nobody really knows. CSJ: 13:13 I know someone who knows. DS: 13:25 The thought is that it was completely destroyed by the river changing course. CSJ: 13:25 Maybe. Maybe not. DS: 13:34 I think, you know, you look at what's going on archaeologically and the use of satellites to find unusual depressions and they've discovered, you know, Viking villages and things like that. So who knows what's going to come up in the next five or 10 years. And that's one of the reasons after reading this issue of We Proceeded On, I got so excited about it. CSJ: 13:55 Well, it's very important. So let me just say this map is a very, very significant discovery and all hail to Dr Christopher Steinke for doing it and publishing the pioneering article in the October 2014 issue of William and Mary quarterly. DS: 14:12 He's still looking for things in Europe, isn't he? CSJ: 14:15 Yes. And others too. And so there are plenty of people doing this but, but as I say, things get mislabeled or they're — the labels are so vague that you can't really know what you're looking at. What I am amazed at — he was not a Lewis & Clark guy. He's now at the University of Nebraska Kearney state. He was looking at Native American cartography, so maps by Native peoples indigenous maps. And he happened upon this and he was shrewd enough, well enough trained in history that he realized, oh, this is the Lewis & Clark map, and here's the story. Lewis & Clark got to the Arikara villages in northern South Dakota along the mouth of the Grand River. And they came there about October 8th, 1804. And while they were there, they met a leader of the Arikara, whose name is Too Né, or Ar-ke-tar-na-Shar, or Piaheto, but let's say Too Né for the purposes of today. And he was a highly intelligent man who then accompanied them from the Grand River all the way up to what became Fort Mandan. So he traveled with them for about three weeks. And then he stayed on diplomatic mission amongst the Mandan, and Hidatsa, was trying to work out a reconciliation between the Arikara and the Mandan. And then Lewis & Clark said, well, would you be willing to go to Washington DC to meet the great father? Jefferson had instructed Lewis to try to convince Native leaders to come to Washington to meet him. And so they convinced Too Né to make the long journey from northern South Dakota to Washington DC. He went with an interpreter by the name of Joseph Gravelines, who plays an important part in the story. He met Jefferson and then unfortunately, Too Né died in Washington DC on April 6th, 1806. So now this emissary from the Arikara has gone off to meet the great father and died. So Jefferson writes a famous letter of condolence and sends it back up the river with Joseph Gravelines to the Arikara. And so, but, the point of all this is that while Too Né was in the presence of Joseph Gravelines and others in St Louis and eventually Jefferson, he produced a map and that map is the one that was discovered and it's filled with extraordinary, fascinating material about how the Arikara saw North America. DS: 16:48 I want to talk to you more about Joseph Gravelines later in the conversation. I don't know a lot about him and I learned so much reading this issue of We Proceeded On, and his relationship with Toussaint Charbonneau, or I guess, the timing about Toussaint Charbonneau sort of became an unhappy employee. CSJ: 17:07 So for those that don't know, Charbonneau was the husband of Sacagawea. Lewis & Clark hired him and they were going to go to the Rocky Mountains, but Charbonneau was kind of a rascal and he went on strike and Lewis & Clark said, well, the heck with it, we're, we'll take somebody else. And they almost took this Joseph Gravelines as their interpreter. If they had, we wouldn't know who Sacagawea is. DS: 17:25 This is the time of year when I'm always interested to revisit Lewis & Clark and all aspects of it. And thanks to this article, we have some new grist for the mill. CSJ: 17:36 The important thing David, is that this is a significant discovery in Lewis & Clark Studies. It is not true that there's nothing more to say, and it has particular importance for North Dakota because the map — it includes everything from Santa Fe to today's Winnipeg, but the map really centers on the land between the South Dakota border and old Fort Mandan, and it really opens a whole new world in one of the parts of the Missouri River Basin that are not that well known. DS: 18:05 I have many more questions if you will entertain that, sir. DS: 18:09 We're going to take a short break, but we'll be back in just a moment. You're listening to the Thomas Jefferson Hour. DS: 18:19 Welcome back to the Thomas Jefferson Hour. Your weekly conversation with or about President Thomas Jefferson. 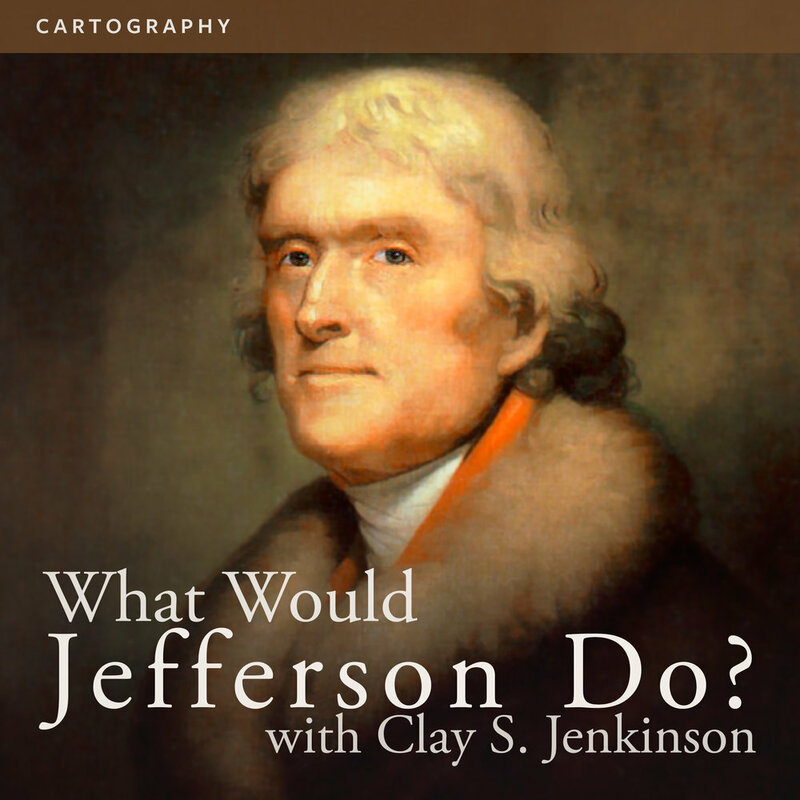 This week we're speaking with the creator of the Thomas Jefferson Hour, Mr Clay Jenkinson. And we're talking specifically about Lewis & Clark and Too Né, and this wonderful discovery of a map in France. DS: 19:06 It's not really a death march. CSJ: 19:07 No, it's not. I just make that up. But he said to me one night at Eagle Cap, which is in the heart of the white cliffs, one of the most beautiful places in the world. He said, I want to show you something. And so I thought, oh, what's this going to be? And he rolls out this map and I was flabbergasted. And I said, right then, I'm the new editor of this journal, We Proceeded On, it's published by the Lewis & Clark Trail Heritage Foundation in Great Falls. I want you to write an article of any type you want about the importance of this map. DS: 19:07 It's an amazing article. Quite lengthy. CSJ: 19:40 It's right up your alley, David, because what he says in it is that indigenous maps are different from Anglo European maps and you can't read, I'm using air quotes, an indigenous map, unless you adjust the way you see, and if you do adjust the way you see, all sorts of remarkable information comes rolling off that page. DS: 20:01 As we said earlier, you interviewed Dr Christopher Steinke, and I want to read something from that interview. You asked him what the map's significance was. He answered, "the map is quite significant for understanding indigenous history on the great plains at the time of the Lewis & Clark expedition. I think it's especially important not only for considering how Native peoples viewed Lewis & Clark and indigenous diplomacy with the Americans, but also for considering Native diplomacy with other indigenous peoples." Which sort of leads me back to this trip that Too Né made to Washington. Could you talk about that? DS: 21:08 That's astounding. Do you think they were stretching that? DS: 21:11 Why would they? CSJ: 21:16 Right. Yeah. And so the fact that they recognized — the question is — that I raised at the beginning of the, of this issue of We Proceeded On is if, if Jefferson saw the capacity of Too Né and General Wilkinson realized that he was a kind of a Native American genius — why were Lewis & Clark relatively Ho hum about him? And that that's the part I don't get. DS: 21:37 Well, let me ask you, before you go on with that, were there any Native interpreters that they were not ho hum about? CSJ: 21:52 Yes. Particularly a Mandan leader by the name of Pose-cop-sa-he or the Black Cat, he was what they called the grand leader of the two Mandan villages. And, and Lewis says of him, 'this is a very remarkable human being. This is maybe the most extraordinary Native person that we have met on this journey.' He's thoughtful, he's benevolent, he's filled with information too, you know, he asks the right questions. He also then unfortunately goes on to say, and he might be very useful to our American purposes in the West now. They always had that kind of instrumental view is what can you do for us when they thought about Indians. DS: 22:22 Nothing has changed about that. CSJ: 22:23 'Give us your land' I think is the correct answer. But so that was one. Then David Nicandri, our mutual friend, talks about Twisted Hair and Tetoharsky of the Nez Perce, of the Nimi'ipuu, who were important to Lewis & Clark also. DS: 22:40 We've established that Lewis & Clark, neither one of them thought Too Né was too important. CSJ: 22:43 They didn't. They didn't go out of their way, let's put it that way. DS: 22:46 My impression was that Jefferson really didn't devote a whole lot of time to him either or did he? CSJ: 22:50 He thought he was remarkable, but of course Jefferson is Jefferson. He's spinning 50 different plates at the same time. He meets him. There is an account of this meeting. In fact, there's one in this magazine, in this journal, by a man named William Dunlap, which I thought was the most fascinating part of everything except the map, David, this man Dunlap was a writer and a playwright and an actor and a painter and he was in Washington DC during this period and he happened to meet Too Né and he wrote this extraordinary account of meeting them in a boarding house, Too Né was sitting on a mattress. Really amazing. And then I got a young woman friend of mine, Katrina Case of Animus, North Dakota to paint a kind of courtroom sketch of what it must've been like for Senator Samuel Mitchell of New York to sit in that boarding house and meet Too Né and hear an account of his map and hear an account of his travels and so on. DS: 23:46 Diplomacy that he had to go through in order for Too Né to even speak to him. CSJ: 23:46 Yeah, because Too Né wasn't just going to talk. CSJ: 23:55 And uh, you know this from your own deep immersion with Native American culture. You don't just wander in as an Anglo and say, hey, tell me everything — that there's a whole world of reticence and shyness and decorum that you have to understand and you can't be in a hurry. DS: 24:13 Now I'm not so sure shyness is the right word, but it describes it well. CSJ: 24:15 Shyness as perceived by Anglos, let's put it that way. If you just go in and say, 'Hey, I'm here to hear about your sacred oral traditions. Would you mind just telling me everything?' You know, that that doesn't work too well as you have, as you know better than anyone, and so Too Né wasn't just immediately available to Senator Mitchell. Mitchell had to sit there and sort of wait 'til the moment when Too Né felt like talking, but when he opened his mouth, it's a rich, wonderful account of his own world. DS: 24:46 But I still go back to, Lewis & Clark didn't think he was that special. Jefferson really didn't think he was that special. We don't know. There must've been something about his persona, his demeanor, because obviously he was something incredible. CSJ: 25:00 Well, Lewis & Clark are in a hurry. They've got a lot going on. At the time that they met him, they were enduring a court martial, a man named John Newman had mouthed off and said things of mutinous purpose, and they had to court martial him, it was the last important court martial. DS: 25:17 And that sort of story. And him being beaten on a sandbar, I'm sure traveled throughout Indian country. CSJ: 25:23 So that whipping occurred on a sandbar on the North Dakota, South Dakota border. And Too Né was with them. And he cried out and said, 'wait a minute, we don't humiliate a person this way, are you sure you want to do this?' And then Clark says, 'well Too Né, here's how we do things and this is important.' And Clark says, Too Né understood. I don't think he understood. I think he said, 'we don't whip our children, ever' — he goes on to say if we really are mad, we kill a guy, but we don't publicly humiliate them ever. And so there's this like, I love these moments. There are six or seven of them in the expedition, David, where the Native peoples are the civilized ones and they regard the white people as the savages. I love when that mirror is turned. DS: 26:11 Because it shows difference between cultures and it leads to questions and understanding. There are a couple of different accounts, I'm hoping I can get you to talk about this, where Too Né and Clark are walking the shore and Too Né is sharing information and talking about the different special places. I just think that's fascinating. And boy, you know, you were talking about trying to have a time machine in and drop in on a conversation. That's one I'd like to do. CSJ: 26:41 Well, that's what I found so fascinating. As they're coming up the river after the Arikara and before the Mandan, it's about a 125 mile stretch. Clark famously says in the journals, 'I don't know, this guy Ar-ke-tar-na-shar told me a bunch of stuff about medicine places and sacred stuff and this and that, and effigies.' And he said, 'none of which I consider worth recording.' And that's been the way people have thought about this. That here was this man Too Né telling Clark his cultures, traditions and Clark was like, 'not, not too interested, nothing urgent there.' But what I discovered in looking at the map and then comparing it to what Clark actually did write during that three week period is that he was listening. That the journals reflect Clark's growing curiosity about what came out of Too Né's mouth. And Clark then talks about the Medicine Rock, which is down near Elgin, North Dakota, and other places that he never would have talked about without Too Né informing him of these things. DS: 27:45 The Medicine Rock we need to come back to because you've been there. But on that subject, you know, at the same time they had something he referred to earlier, the Evans map. CSJ: 27:45 They had John Evans' map, who had come up in the 1790s looking for Welsh Indians. DS: 28:00 They had all of these — there were supposed to be these extraordinary landmarks and Clark spent what, two or three days without success trying to find them. So we know Clark was interested, right? CSJ: 28:11 Yeah. That's, I mentioned this in my essay in We Proceeded On and I invite people to subscribe and to read for themselves. But what I say is, and it's a little bit hard on Lewis & Clark, but I say, this Welshman, John Evans had been up in the 1790s. He left a map and an account. Clark gets off the boat and goes searching for these places. Jupiter's house. And a couple of other things, and he never finds them, but he makes it a real quest to affirm what Evans had been pointing at, but he shows less interest in a Native American's view of the same countryside. DS: 28:46 Do you think that's true? DS: 28:49 And it was because they were Native. CSJ: 28:50 It was because they were Indians. And so here you have a Native American who knows everything there is to know about this landscape and he wants to tell the white person. CSJ: 29:04 Right. So they got Joseph Gravelines to translate and so he wants to divulge what he knows and Clark is like, 'Eh, yada, yada yada.' And, but then Clark is like, 'oh, this white person was up here. Let's go confirm the things that he arbitrarily names from Greek mythology out here.' It's a little bit of the Eurocentrism that frankly one would expect. That's how Eurocentrism works. But what I discovered was that even if he says those slightly contemptuous things, he is listening and a lot of Too Né's data wound up in the journals and all of it is on the map, and the map deepens the journals, and the journals deepen the map. DS: 29:39 I want to get back to Thomas Jefferson — maybe talk a little bit about his instructions to Lewis and some of the maps that were commissioned by Lewis & Clark, but you must share your story of Medicine Rock, please. CSJ: 29:57 I'm going to take you there. When I return to North Dakota. I read about this. I read about it in Clark. I was editing the journals of Lewis & Clark for North Dakota and I produced a book called A Vast and Open Plain, the writings of the Lewis & Clark expedition. DS: 30:09 We need to put out a link on the, on the webpage. CSJ: 30:13 Very, very proud of that work. DS: 30:13 It's great piece of work. CSJ: 30:16 Hundreds and hundreds of annotations and it's really the only edition of Lewis & Clark anywhere that has every journal keeper every day on the day that he wrote. Normally Lewis & Clark get volume one and then the other journalists get volumes nine and 10. I brought it all back together, including the weather data and all the letters they wrote and everything else. So anyway, that was done with the State Historical Society of North Dakota and while I was doing it — I've read about this Medicine Rock, so I thought well I'll just go see if it's still there. I drove out there and it is still there. It's a state historical society site near Leith, or Elgin, North Dakota, southwestern North Dakota, about 50 miles I'd say from Bismarck and about 40 miles from the Missouri River. It's surrounded by a chain link fence and it was — I am using a kind of a cross cultural term here, but it was sort of the oracle at Delphi, so Native peoples of different tribes — it wasn't just Mandan — would go there and they would fast and do sweat lodge ceremonies and smoking ceremonies. And so on, and then they would consult this rock and say, should we go to war against the Cheyenne or should we move our winter camp to the Killdeer Mountains, and questions of destiny. And then they would go away and dance and sleep and fast and then a day or so later they'd come back in and this rock would reveal to them their destiny. There would be something inscribed on the rock or there would be a way of looking at the lichens and the patterns. But the rock would deliver wisdom. And so Lewis & Clark write about this. Then Prince Maximilian wrote about it in the 1830s, the Steven Long expedition up in the late 1810s wrote about it. So I went. There it is, and I'll tell you what's so amazing about, David, you know Native culture so much better than I do. It's in the middle of the middle of the middle of nowhere. And it's in the heart of an Anglo European part of North Dakota. It's a long way from Indian country. And yet every time I go there, I find medicine bundles tied to the fence. These are little pieces of tobacco that are rolled up in a handkerchief and strung on a string, like a bit like a Rosary, and Native peoples come from apparently all over America, certainly all over the great plains and pray there, and they leave these medicine bundles, and so it's still sacred to Native peoples — most non-Native North Dakotans have never heard about it or care for that matter, but I find it fascinating. DS: 32:52 Yeah, there's a photograph. DS: 32:55 Walking through 10 below wind chill. CSJ: 32:55 And it was, yeah. CSJ: 33:04 It was a great day. DS: 33:12 I referenced a book that I read. One Vast Winter Count. CSJ: 33:43 It's not a calendar in the sense that Thomas Jefferson would understand, but it's a calendar in another sense. And so this is not a map in the usual sense, but for example, on a, if you've got a state highway map of North Dakota today, it wouldn't mark sacred places, but Too Né marked and drew the sacred sites of the Arikara world. CSJ: 34:00 And what is sacred? How do you determine what's sacred? If I see a Lutheran church on the prairie, I know that's a sacred place to Lutherans. CSJ: 34:00 If I see a cathedral as in Richardton, North Dakota, Catholic Cathedral, I think, okay, that's a sacred place to Roman Catholics. DS: 34:30 So the difference is these, these sacred places were not built by the hand of man. They were built by someone else's hands. CSJ: 34:38 Because, and correct me if I'm wrong — it's always a mistake to overgeneralize about Native Americans — but they didn't feel the need to put up an edifice. The place itself was sacred that you don't — You don't need to build a shelter around it going there, the sacred — the medicine, the wakan — the sacredness is right there. It's inherent in the place and you just need to open your eyes and ears and if you open them in a culturally sensitive and appropriate way with the proper use of medicine men and prayer and fasting and all the things that you do. If you open your ears, if you open your heart and soul to the place, the place speaks to you. And so white people think, well, that's not how we do it. We'd go into church and we sing a hymn and we play a song and we pray. Native Americans have a different way of doing the sacred. And that's why I love this place. DS: 35:30 I'm not sure that I could add anything to that, except that you and I've had this discussion before in connection with Lewis & Clark and Jefferson — the value of oral tradition, oral history, and you say, you know, they need an edifice there — oral history and oral tradition has passed this knowledge down, and the absolute proof of it is that you found medicine bundles at Medicine Rock. CSJ: 35:55 As you do at Bear Butte in South Dakota and other places. But this is such an unusual one because you're — if you look at this, even in that photograph that's in We Proceeded On, if you look from a mile away, you would never think, 'oh, that must be a Native American sacred place.' It looks like just another sandstone outcropping on the great plains. But when you go up there, you find the medicine bundles and you think, Whoa, somebody still is intact in that tradition. DS: 36:20 We're coming up on a break Mr Jenkinson, but when we return I'd like to ask you about a couple things. I'd like to talk a little bit more about Jefferson's instructions to Lewis and some of those maps and also a new painting that you have shared with me that's pretty fantastic. CSJ: 36:36 David, I just have to say I'm loving being the editor of We Proceeded On — and people who have been writing me saying, how can I see this map and how can I read what everyone has written about this, including my friend Kevin O'Bryant. The thing to do is to go to the Lewis and Clark Trail Heritage Foundation, which is headquartered in Great Falls, Montana, and you can subscribe to We Proceeded On, and then you'll read every of the four journal issues per year. DS: 37:01 And you'll find a link to their website at jeffersonhour.com. Right now, sir, we are going to take a short break, but we'll be back in just a moment. You're listening to the Thomas Jefferson Hour. DS: 37:44 Something that you brought up years ago when we first had conversations about Lewis & Clark, and that is this incredible letter of instruction that Jefferson gave to Meriwether Lewis. CSJ: 38:01 Yes, it was June 20th, 1803, and Jefferson — it was really one of his great moments. He laid out the mission statement for the expedition. He said many different things, but he basically said, go all the way to the source of the Missouri, cross over, whatever the mountains are. Go all the way down to the mouth of the Columbia and come back again and meanwhile take notes, take lots of notes. DS: 38:24 Two things that stuck out in that letter, which — is he talks about all the equipment that they have received and, you know, instruments for ascertaining by celestial observations, the geography of the country. He wanted maps, he wanted detail, he wanted explanations, and he also gives him really specific instructions for how to deal with the indigenous people. CSJ: 38:57 Right. Among other things, he says, when in doubt, pull back, don't get yourself into some sort of a battle with Native peoples. If they're determined to turn you back or to resist your progress, it would be better for you to come back and we'll regroup and send out a larger party, or another time, but don't take the bait in a provocation and have some sort of a bloodbath out there. He said, bend over, conciliate wherever possible, because harmony is the is the theme of my administration. DS: 39:26 Yeah, and reading the letter. I believe him. He meant that. The other thing that I wanted to ask you about was what we mentioned earlier, Joseph Gravelines, who is somebody I really don't know that much about, but reading about it almost seems like maybe it would've been better for them to dump Toussaint Charbonneau or hire him additionally. DS: 39:47 They would have lost Sakakawea. CSJ: 39:55 We wouldn't know who that woman was. One of the things I've discovered in my own editing of the journals is that she is not mentioned until they get well into Montana, after she plays a significant role in saving one of the boats when it's tipping over. Up until then, she's just 'the woman, the Indian woman, the wife of Charbonneau.' If Charbonneau's strike had continued, if Lewis & Clark had said, 'well, the heck with it. We're not hiring you, stay here,' and had hired Joseph Gravelines instead, a much better man, we would never have heard about Sacagawea and we might not be having this conversation because this came up again and again during the bicentennial. David, what can you take out of the story and still keep the story? You can take out William Werner and Joseph Potts, John Potts, and even George Shannon. CSJ: 40:43 You can take these people out. You take Sacagawea out of the story, there is no story. DS: 40:43 You don't know that. CSJ: 40:43 I believe that. DS: 40:43 Yeah, okay, well. CSJ: 40:57 Gravelines was a French Canadian. He had spent 20 years with the Arikara. He knew their language well and they counted on meeting these traders amongst the tribes. He served as a translator and Lewis & Clark really admired him and they sent him as the chaperone of Too Né when Too Né went off to Washington to meet Jefferson, and Gravelines then had to come back with the sad news that Too Né had died in the District of Columbia. DS: 41:25 And then lastly, there's this new painting that you have sent to me that's pretty incredible. Can you tell listeners about it? CSJ: 41:33 Well, going back to the instructions, David. So the instructions are like this enlightenment mission statement, you want to get their languages and you want to learn their ethnographies, and you want to learn the geography and bring back soil samples, and plants and rare and unusual animals, et cetera. Jefferson says like, 'I want you to observe everything and write down perfect descriptions of it and use all these scientific instruments the theodolite and the compass and your chronometer and everything, and just bring back data. Data — that's what I want. And so this painting I discovered for the next issue for the August issue of We Proceeded On, it's by a man named Peter Waddell. He's a New Zealander who is now a naturalized American citizen and he paints for the White House Historical Association. And he painted an image I found by just google searching. I had never heard of him. The image is of Jefferson sitting in the White House with Meriwether Lewis standing in front of him. And Jefferson has just finished his instructions. The painting is dated June 20th, 1803. CSJ: 42:48 — geraniums, maps and Globes and his glasses. CSJ: 42:56 — a Greek vase and his books. His five sided music stand or bookstand and so I actually have created a quiz for the August issue of We Proceeded On. CSJ: 43:03 And I say, how many of these objects can you identify? And then at the end of the issue, I wrote a long description of each of the objects, and I worked with our friend Pat Brodowskiy. I sent her the list and the painting and I said, help me. And she wrote back and as usual, you know what she said, she said, there's a chair. If you look at the painting, David, there's a windsor chair, a wooden windsor chair next to the bookshelf and I'm saying, tell me what you can about this. She said, 'well, you know, I just made a windsor chair.' Think of that. She just made one. She actually constructed one. She's like a living embodiment of the fox fire books and she made one and told me all about it. CSJ: 43:42 Pat, send flowers. DS: 43:42 Pat, I got your, Brad's atomic grape tomato seeds. DS: 43:42 Gave a seedling to Clay. How's it doing? CSJ: 43:42 It's alive. That's all I can say. CSJ: 43:57 This painting is utterly fascinating. DS: 43:57 It really is. CSJ: 44:01 I interviewed Peter Waddell and I'll be publishing it in two forms in the August edition of We Proceeded On and what it is, David, is essentially a map of the enlightenment. Maps, books, scientific instruments, writing instruments, the kind of artifacts Jefferson collected for the lobby at Monticello, and I should say before we go, I just got a call and I get to go to Monticello at the end of September and give two lectures, one for dinner in the house and the other one out on the West Lawn. And then both of them are about this subject. Jefferson in the West and Jefferson and Lewis & Clark. DS: 44:33 I feel like we could talk on and on and on about this. DS: 44:39 Really didn't get into Too Né as much as we could have, but go to jeffersonhour.com. You can find out how to join. CSJ: 44:44 Please do subscribe because this is an organization that deserves your attention and I'm trying to make this journal a much more important Lewis & Clark vehicle than it has been. DS: 44:58 Well, before we go, I must say, Clay, thank you for a delightful conversation and to those of you listening, thank you for listening. If you'd like to find out more about the Thomas Jefferson Hour or support the show, go to jeffersonhour.com. You'll find a old programs, essays, all sorts of information and with that, sir, it is now time for this week's Jefferson Watch.